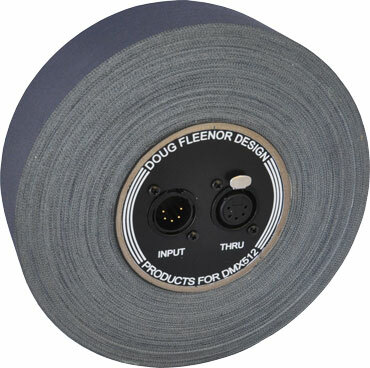 DMXGAFF, a Doug Fleenor Design exclusive, brings this useful tape product into the 21st century. Now, with digital multiplex control, Gaff tape can be used for so much more than removing lint from velvet costumes. DMXGAFF is made in the United States of America entirely from components and materials made in the United States of America or elsewhere. DMXGAFF is compatible with all standard cutting methods, including hand tear, Leatherman, scissors, wire cutters, and teeth. It is also Torkel compliant and can run on single or three phase EEL. For more information, please see the Data Sheet.